I apologize for the short post this week, but thanks to a busted water main near my house and a quick downpour I am dealing with some minor flooding in the basement. Have no fear, the comics and board games remain dry as they were the first items moved to higher ground. Despite the mild drama at the house, I was treated to some quality comics that helped ease the stress of daily life. Also, Nailbiter is so, so good and Marvel is delivering one of the best events to date. Nailbiter #2 - No punches are pulled as the mystery surrounding why Buckaroo, Oregon has produced so many serial killers. After the disturbing opening with Edward Warren, aka the Nailbiter, the plot thickens as a fire breaks out claiming most of Carrol's evidence. A new masked man is seen at the fire and I have no idea who I can trust. This title hits you in the face and you will be asking for more. Featuring some very impressive scenes of terror, this is a must purchase for any fan of horror. 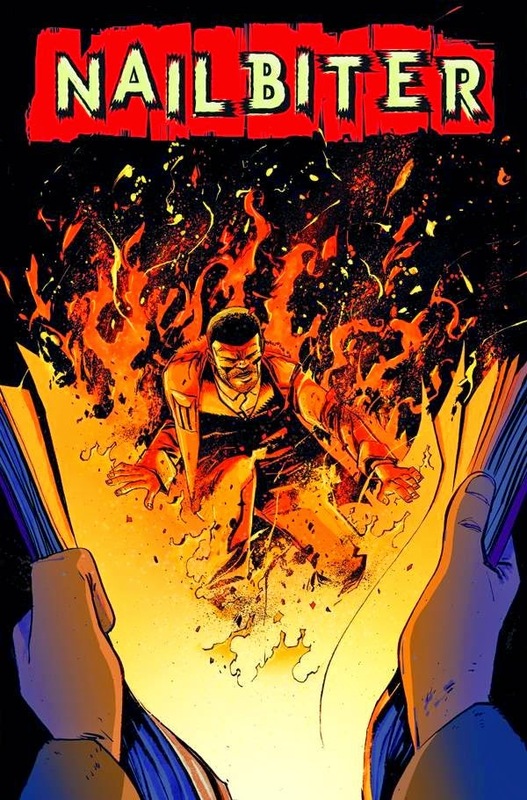 The first issue delivered a good punch, this issue delivers the knock-out blow. Can't wait for issue #3. 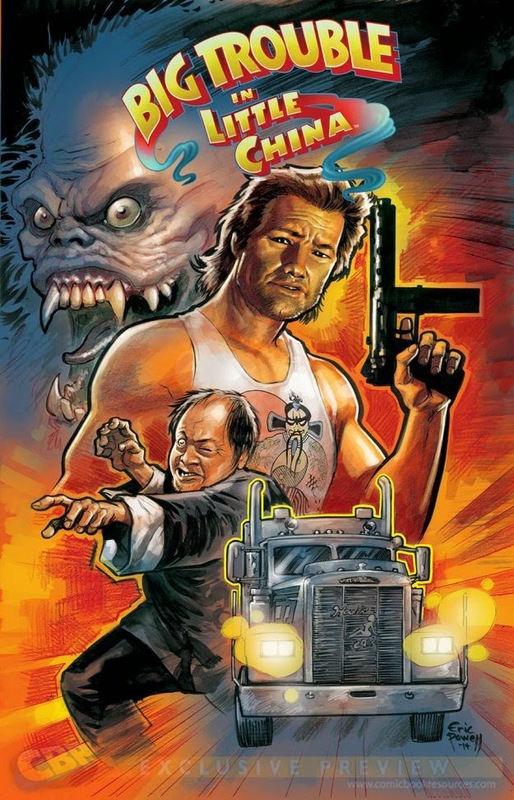 Big Trouble in Little China #1 - I am currently torn on this comic. On one hand, there is absolutely no need for a remake or sequel to the cult classic film that is Big Trouble in Little China. John Carpenter's film delivers so many positives that it would do a disservice to bring back Jack Burton and the Pork Chop Express. He already stopped David Lo Pan for crying out loud! On the other hand, after you make your way past the painful open to this comic, you are left with a story that seems like a logical sequel. It has John Carpenter's approval, but if it doesn't deliver with issue #2 I am out. Worth the purchase if you are a fan, otherwise steer clear and rent the movie. It's amazing! 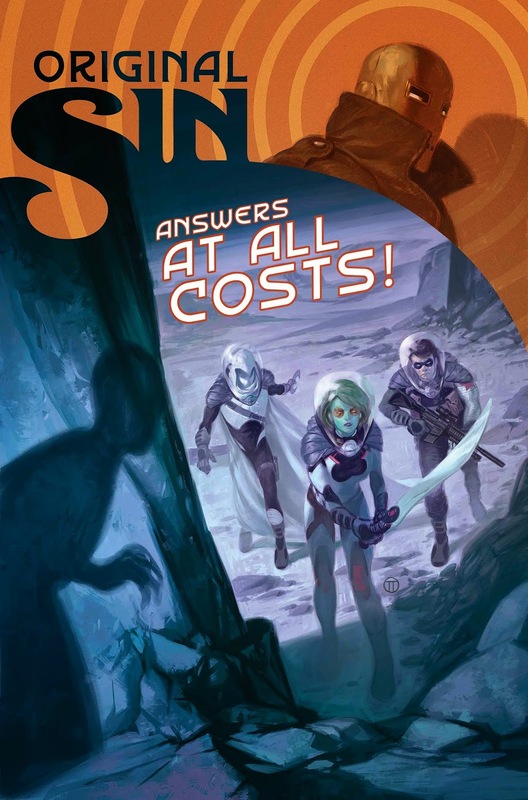 Original Sin #3 - I must say that I am still really digging this Marvel event. The Orb is in possession of the eye, but claims to be innocent of murder. That doesn't stop the Orb from unleashing the secrets that the Watcher has seen onto those surrounding him. It has hit the fan and there is no putting back what has been unleashed. The mystery still remains who has been killing all of these creatures and storing them in the middle of the earth? Did the Watcher see something he shouldn't have? Meanwhile the Winter Soldier and crew are following a trail of bullet shells to track down who they think killed the watcher. Someone has the other eye and that individual may have killed the Watcher. The twist at the end of this issue is epic and has my mind reeling. I am not sure I believe what I read, but Marvel is delivering the best event in quite some time. Princess Ugg #1 - Princess Ulga, daughter of Odin, has taken it upon herself to find a better life among the lowlanders. Despite the objections of her father, Princess Ulga sees value in Atraesca. 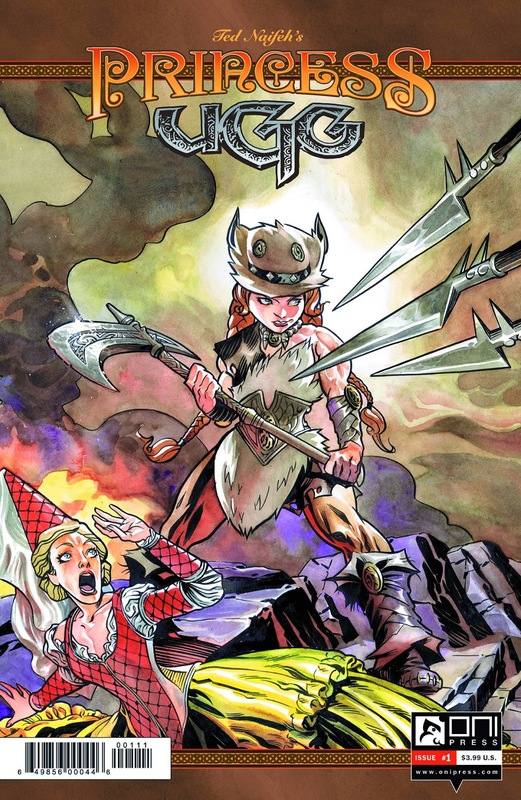 Lady Julifer doesn't take too kindly to Ulga's arrival as it looks like Oni Press has another quality fantasy title on its hands. This issue feels like it is laying a solid foundation for what could be a solid title. If you are a fan of fantasy this would be a good pick-up this week.